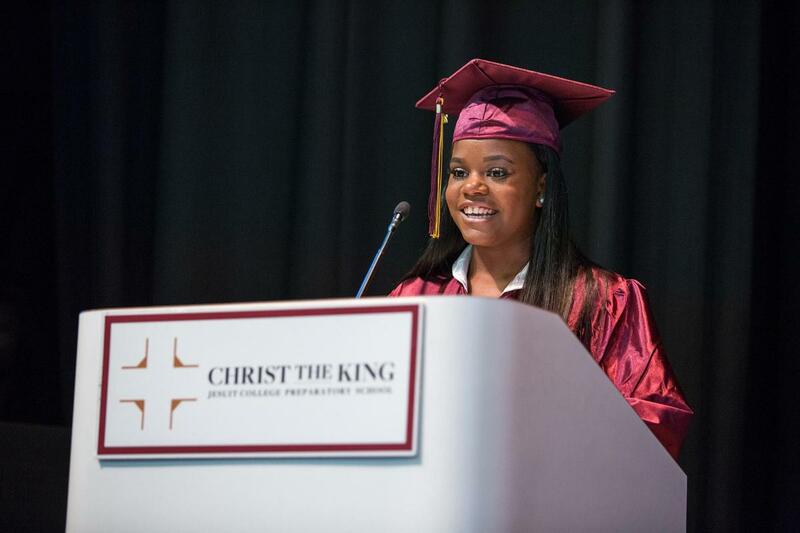 On Thursday, June 7th, the Christ the King community gathered to celebrate the members of the Class of 2018, our 7th graduating class. Graduation is a wonderful day at CTK not only for the students, but also for their families, CWSP co-workers, supporters, and CTK teachers & staff - all having witnessed the hard work invested, obstacles overcome, and achievements realized by our graduating seniors, and excited for their bright and boundless futures. 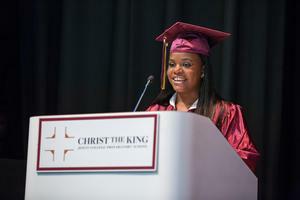 Two student speakers shared how their experiences at CTK, helped shape them into confident young women ready for the next step - college in the fall. Brianna '18, heading to Fisk University, spoke of coping with the loss of both of her parents while at CTK: "I tried to imagine what life would be like if I never walked into those doors back in 2014. I know that I would've felt stranded. I wouldn't be a part of the first generation in my family to attend college, I wouldn't be as prepared to be independent as I feel right now in this moment. But most importantly I wouldn't know what it's like to have a family outside of my home." 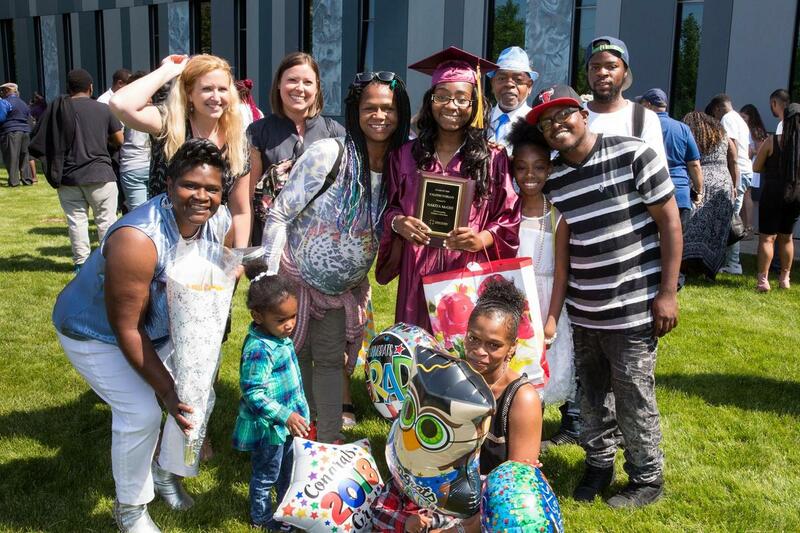 Valedictorian and future Loyola University Chicago student, Nakiya '18 shared how her persistence, sacrifices, academic focus, and faith in God helped her to achieve her goals. She closed her speech with, "We have much to be thankful for here at Christ the King. 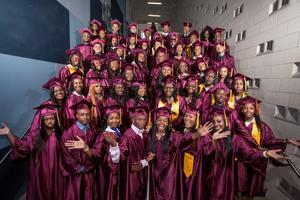 We have received a great education thanks to our administration and teachers. We are all prepared to move on and face whatever challenges that may come our way." 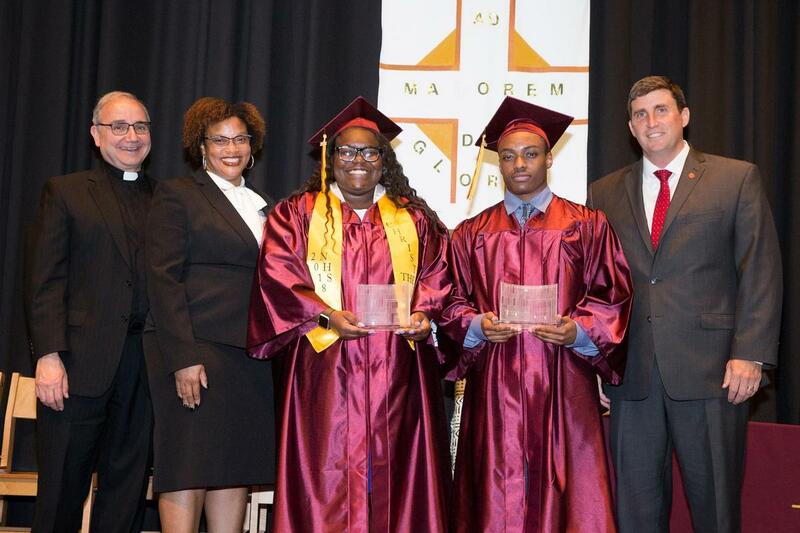 Seniors Jazlyn (Indiana State University) and Jyveon (Illinois Wesleyan University) beamed with pride as surprise recipients of the Jesuit Schools Network's Grad at Grad awards, which recognize the seniors who most embody our six characteristics of a graduate at graduation - Intellectually Competent, Loving, Religious, Open to Growth, Committed to Justice, and Work Experienced. 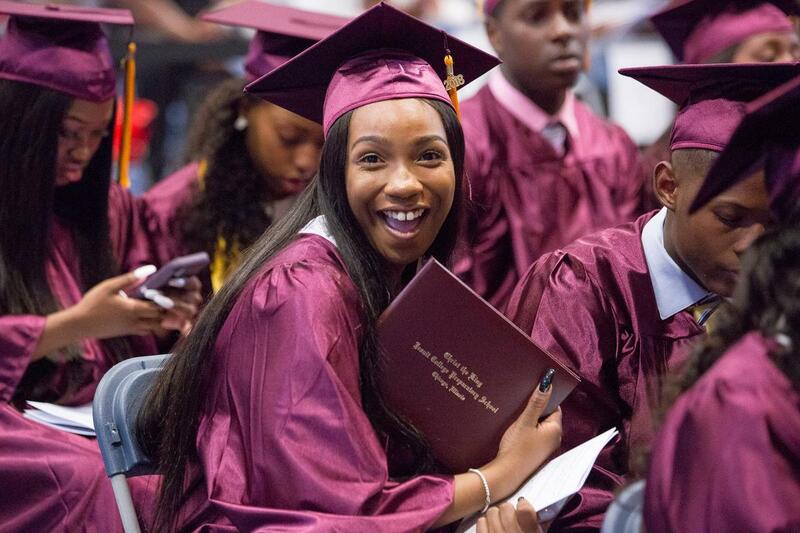 The Class of 2018 proudly continues the tradition of 100% college acceptance for every graduate since our school's founding. 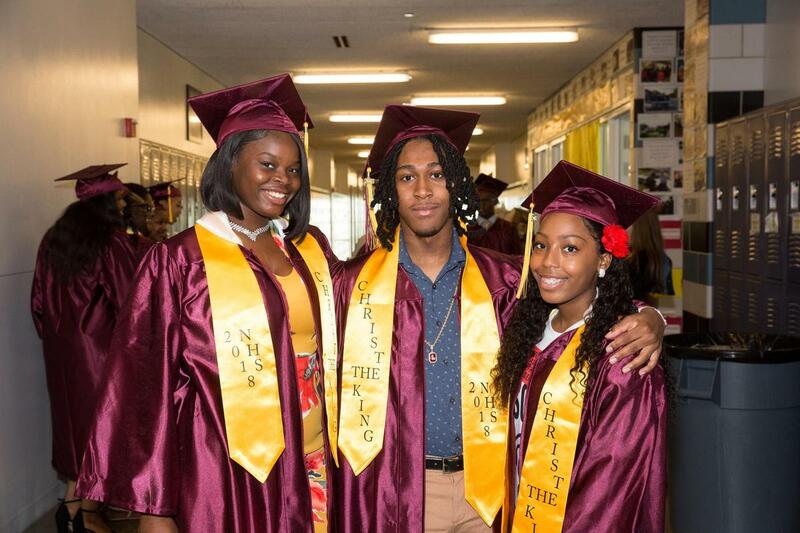 For the 3rd year in a row, 100% of this year's graduates were accepted into a 4-year university. 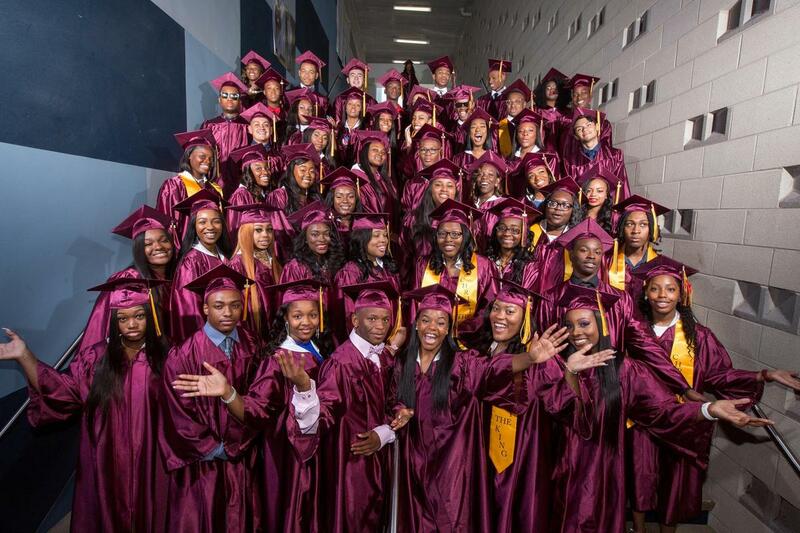 Our seniors earned 521 acceptances to 145 different colleges in total, and were awarded over $8.7 million in scholarships - the most in CTK's history! 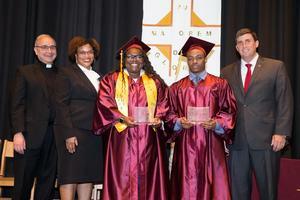 In his remarks, President Martin said, "The Class of 2018 is blessed with many talents. I have watched these talents grow and develop in my time here with you. Know that we are expecting great things from each of you. Ite, inflammate omnia - Go set the world on fire!" 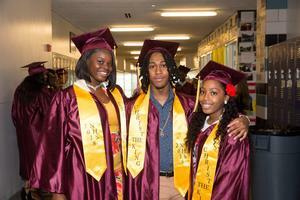 For a full gallery of graduation day photos, CLICK HERE.